If you are like me, you like getting to your favorite Android apps as quickly as possible. If you have certain apps you use most often on your Android smartphone, it’s only normal for you to want access to those apps as fast as possible. How about using your Android device’s Home button as a shortcut for that? 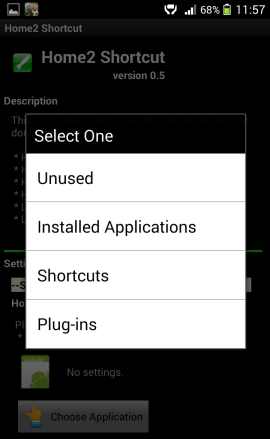 Well in today’s lesson, we’ll show you a quick and simple way to assign shortcut combinations to your various Android buttons (home, volume, etc) on your smartphone or tablet. By default, your Home button on your Android device simply takes you to the home screen of your device. But what if you want to double tap it to take you to another app? 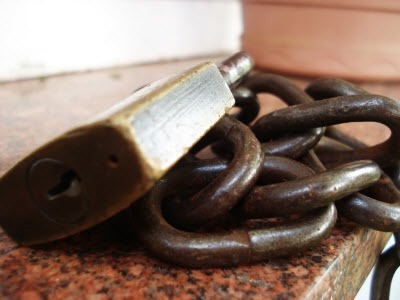 Say you always use the Google Authenticator app, and you want it to launch quickly and easily; that way, you don’t always have to browse through your phone’s various menu screens. Of course, you can create shortcuts, but wouldn’t it be more comfortable if tapping your Home button twice would open your favorite app, without otherwise affecting said key’s functionality? Home2 Shortcut is a free app which offers you just that! 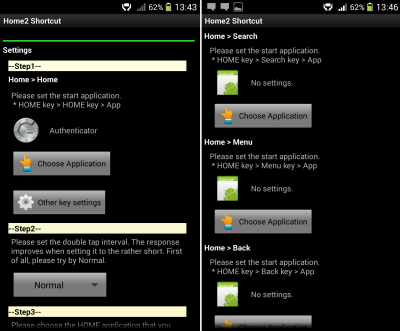 And you can also use it to assign shortcuts to combinations between your home and other keys. You can even assign shortcuts to double taps of the menu key, for example. So now let’s move on to installing and setting up the Home2 Shortcut app! 1. 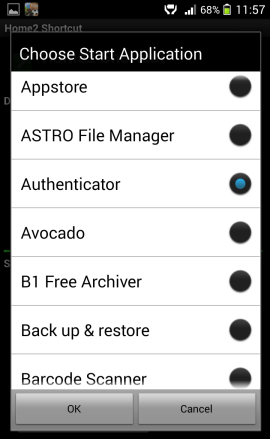 Start by installing Home2 Shortcut from the Google Play Store. You can find it here. 2. After the app is installed, go ahead and launch it. First, choose the app you want to start with a double tap of your Home button. In order to do so, tap Choose Application. 3. Then, go to “Installed Applications” in the next screen. 4. 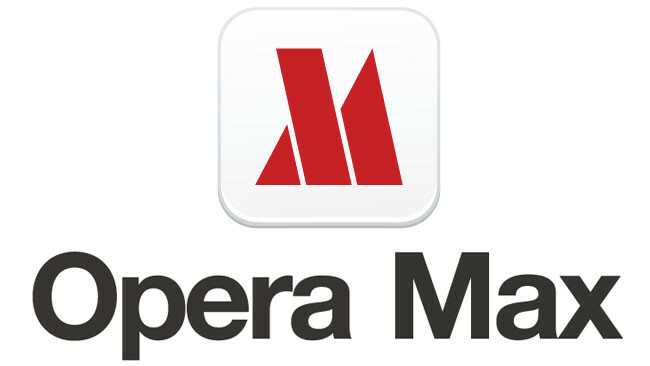 You will be shown the complete list of apps which are installed on your smartphone. Scroll until you find the one you want, tap it and then tap OK.
5. Next, set the double-tap interval. This really depends on your preferences – I found the Normal setting to be adequate for my needs, but you might prefer it set to Very short or to something else. You shouldn’t give it too much thought, as you can always come back and edit it afterwards. 6. Next, choose the Home app your smartphone uses. Namely, you’ll have to pick the launcher that’s regularly in use on your device, so that it knows what to do when the Home button is only tapped once. In my case, that’s Xperia Home. 7. The next step is to click the Close button. A dialog box will appear, in which you should choose Home2 Shortcut and then select Home2 Shortcut as the default app, in the next step by tapping Always. Otherwise, you’ll have to select it every time and that pretty much defeats the purpose of making things more comfortable. 8. Once you’ve done that, a simple double-tap of your Home button will fire up the app you’ve chosen. 9. That’s not all; as I’ve told you a little earlier, you can easily assign apps to other shortcuts. 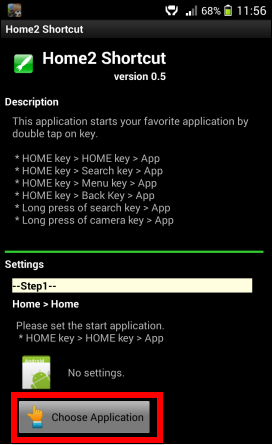 For that, just start Home2 Shortcut again and, on Step 1, tap Other key settings. As seen below, you will be able to assign apps to shortcuts like Home + Menu, Home + Back and others. If you can remember what you’ve assigned to which shortcut, I’m hopeful this will be pretty useful to you. 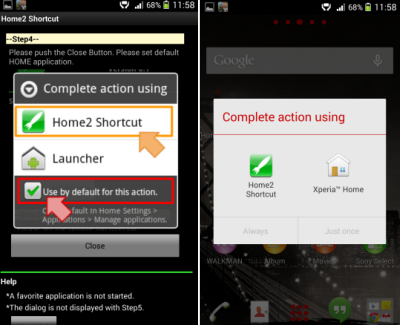 Home2 Shortcut is a quick way to make shortcuts simpler when using your Android smartphone. It’s a free app and it doesn’t take too much effort to set up, which is one of the reasons why I fully recommend it.